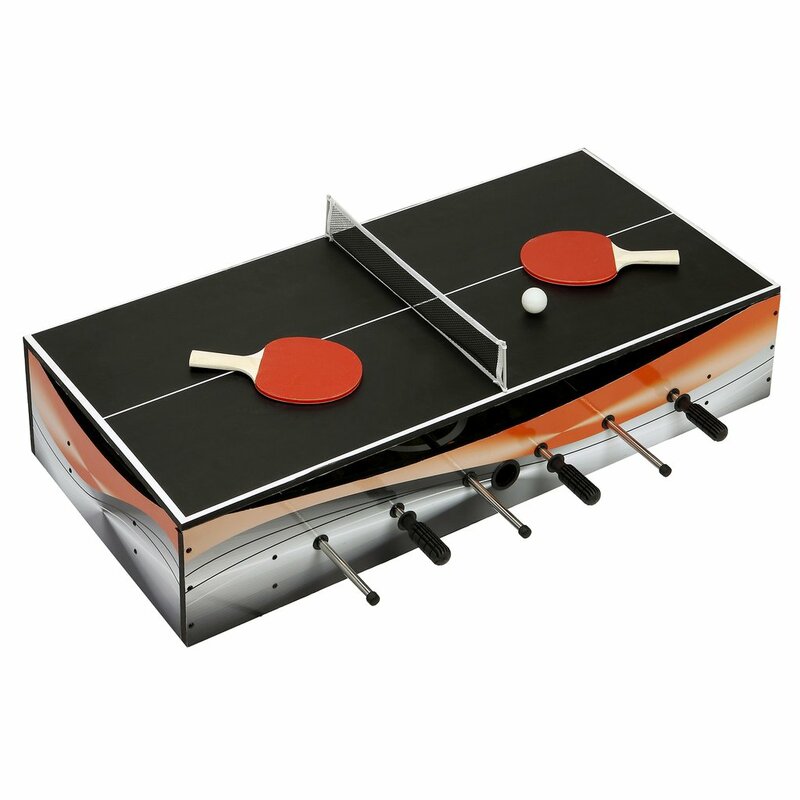 Enjoy hours of fun competing with friends and family on this portable, lightweight, extremely durable, space-saver table. And, this Revolver is built to last! 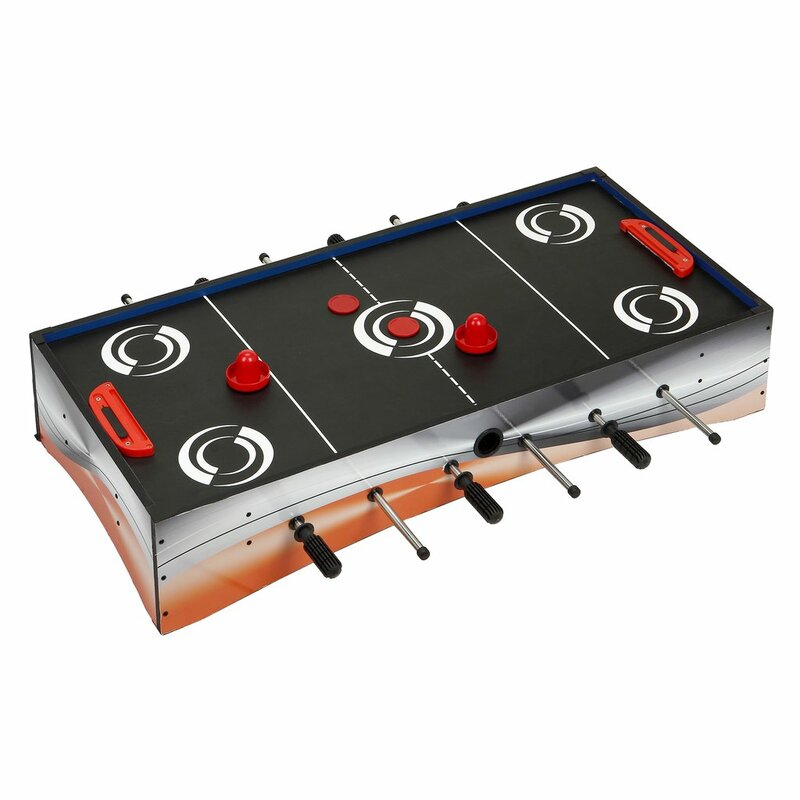 Crafted from rugged CARB certified, environmentally safe materials finished in a cool action graphics exterior design, this table will support active play and look good too. 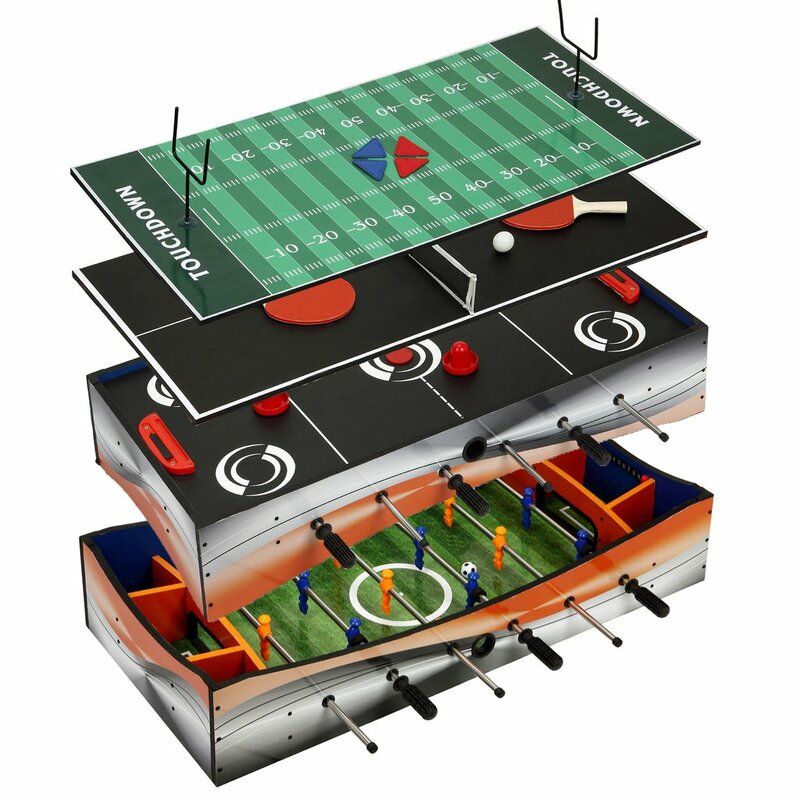 The Revolver quickly converts from one game to another, featuring 4 exciting game table play surfaces: glide hockey, table tennis, finger football and foosball. 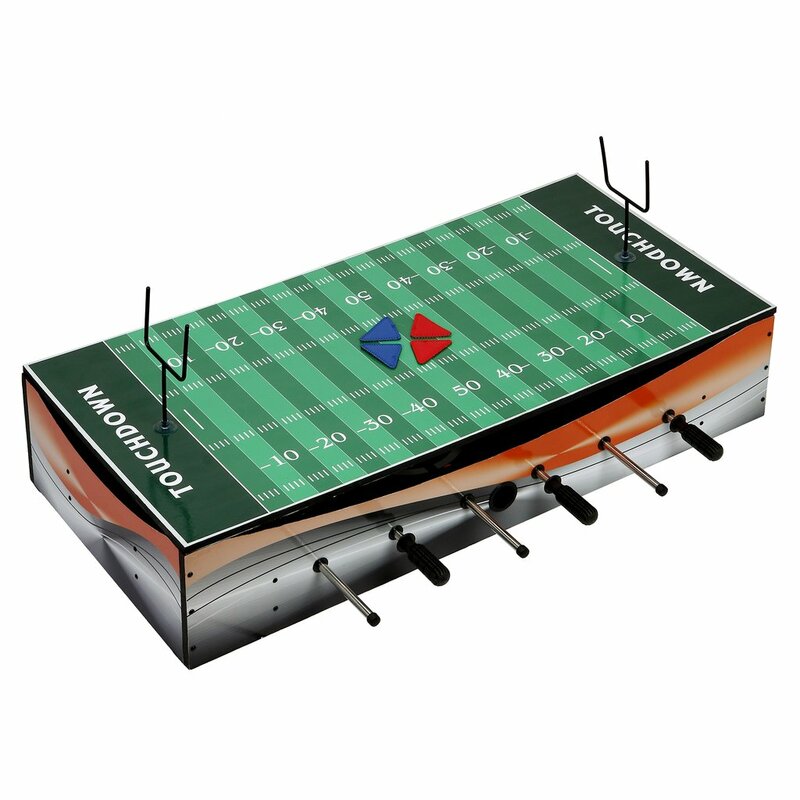 Each play surface includes all the necessary accessories for game play. 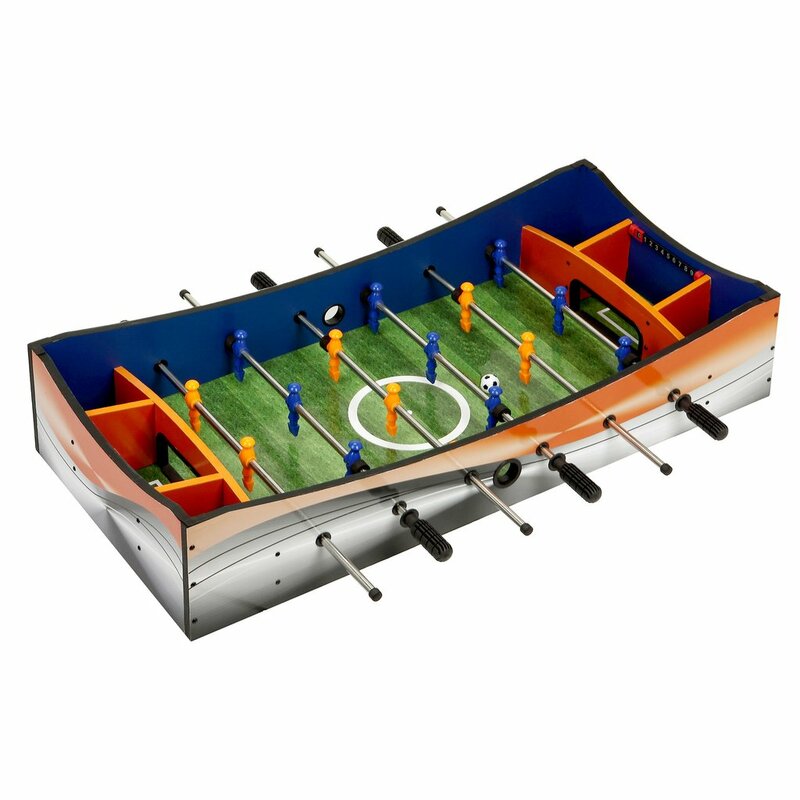 This quality built, action packed 40-in multi-game table is certain to provide hours of friendly game competition! 180-day limited warranty.